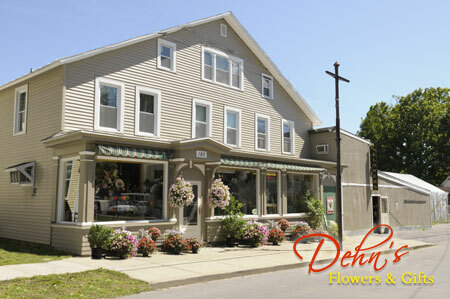 Dehn's Flowers is the longest continually family operated flower shop and greenhouse in upstate NY. It was started by Christian Dehn in 1892. 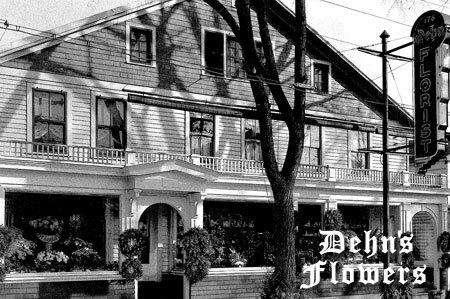 Originally started on Clark St., on the eastside of Saratoga Springs, it was eventually relocated to the present location on Beekman St. on the westside when Christian brought his wife Sophie to this country from Germany. 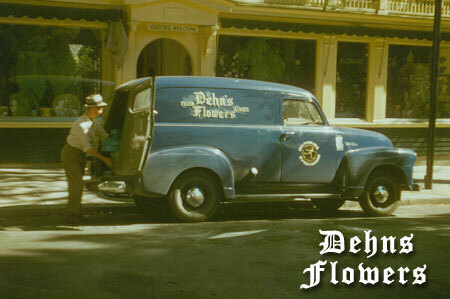 The flower shop and greenhouse were then run by Polly Dehn, wife of Charles Dehn Sr. and their two sons, Charles Jr. and Richard. In 1960 when Charles G. Dehn (Son of Charles Jr.), also known as Dude, was discharged from the Navy he came to work in the greenhouses. 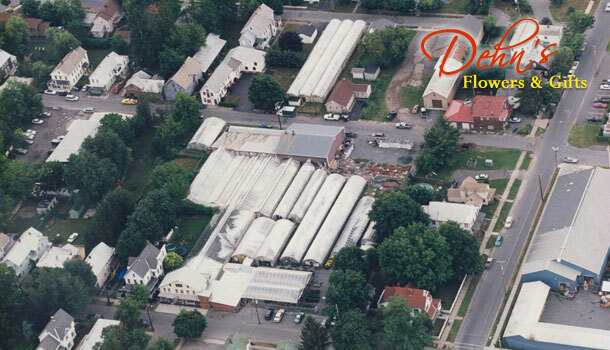 After the passing of Richard, Charles Jr. then began running the flower shop and Dude ran the greenhouses. 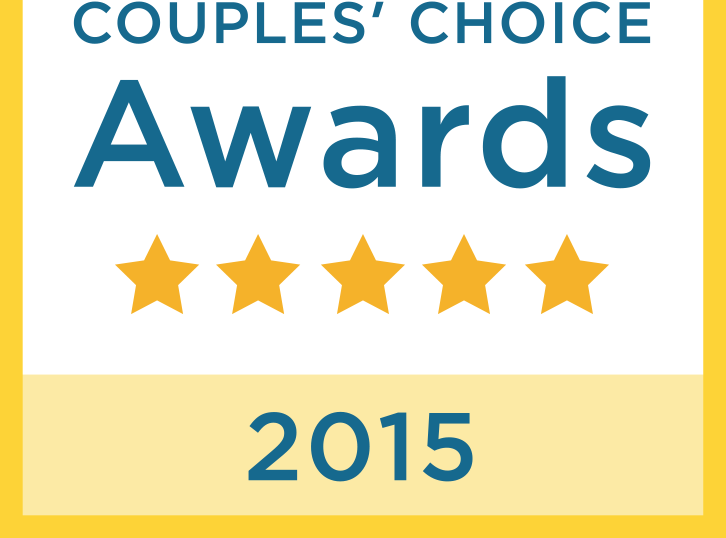 In 1984 Terri Dehn, daughter of Dude and his wife Kathy, married John Mishoe. They first lived in Michigan when John got out of the Navy. After a couple of years Charles Jr. and Dude asked John if he would like to join the business. He accepted and that is where we are today. The fourth and fifth generations are still operating on Beekman St.. We presently have a total of 22 greenhouses growing seasonal plants year round along with an experienced staff running a flower and gift shop featuring a vast array of fresh flowers and keepsake gifts. 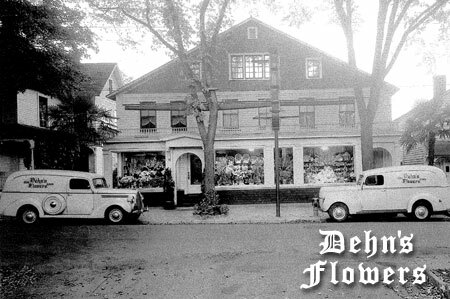 In 2005 Dehn's opened a satellite store in Milton on Treible Ave. in the Milton Plaza. Our shop there offers a similar inventory to our Beekman St. location with the freshest flowers along with gifts for house and home.